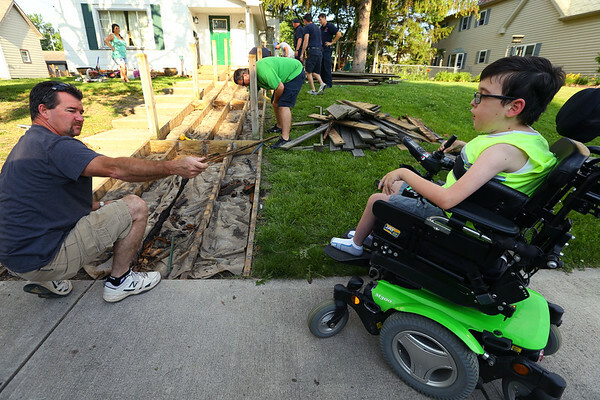 Nine year-old Alexander Davis gets a treat from the Tipton Firefighters who are rebuilding his chair ramp in front of his house on June 12, 2017. At the start of the project the old decking had to be removed. Chief Jeff Ogden handed Alex a piece when he asked if he could help. Alex then wheeled it around to the debris pile.